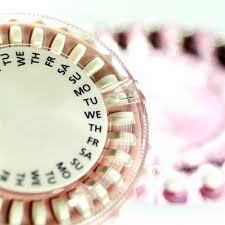 Birth Control Pills - Are They For You? The other ladies were all talking about their birth control methods, and they seemed happy to have found something that worked for them. A couple other wives wanted children, so, of course, they were not interested. But now, you have decided that you don't want children right now, and you've been wondering if birth control pills are for you. Here are five tips to help you decide. Among the various methods used for contraceptives, the birth control pills are probably the most effective. With 99% effectiveness, that's about as high as you can get. The one factor that provides this degree of prevention; however is that they must be taken daily. For those who are not quite as regular in taking the pills, the safety level drops down to 95% - still good. It only takes the missing of one day to make this difference. Although pills are effective, some types of medicines will reduce it as well. These are medicines for antiseizure, TB, migraine headaches, and antibiotics. Let your doctor know if you are taking any of these. Birth control pills basically work by deceiving your body. 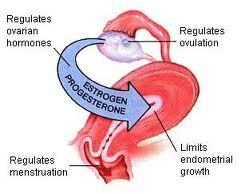 It supplies your body with the hormones that it would normally generate if you were pregnant - estrogen and progestin. The pill, or oral contraceptive (OC's), is one of two types. The first, and most common, is a combined OC, which contains both of the necessary hormones. 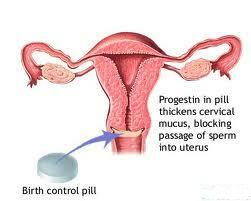 The other, referred to as a minipill, only contains progestin. The mini pill, however, is not as efficient, but rather works to prevent the developed egg's ability to travel, blocks sperm in the same way, and will only attempt to prevent (limited) implantation. Birth control pills usually come in a single package with a one month's supply of either 21 or 28 pills. These are taken, one per day, for three weeks. Then, the 21 pack supplies no pills for the seven days, while the 28 day pack does. These seven extra pills are merely spacer pills to help you keep in the habit of taking the pills everyday, but they contain no hormones. Either way, your period commences when you stop taking the pills with the hormones. A newer type of pill can also reduce how often you have your period by supplying you with hormone pills for 12 weeks and 7 spacer pills with no hormones. This will effectively cut back your periods to only four times a year. Although birth control pills are very effective in preventing conception, it still is not made for everyone. Every girl has a different body, and there are some medical conditions which make taking it inadvisable. Because different manufacturers each make their own version a little different, sometimes a little trial and error needs to take place to find one that is just right for you. Of course, if there are other medical problems, talk to your doctor about them, and he can help you the best with your situation. Most of them will disappear after 2-3 months. More serious complications may be indicated by the following symptoms. These require that you call your doctor immediately. Problems with the eyes – blurred vision, etc. In closing, it needs to be said that birth control pills, while being effective against conception, are not a means to stop the transmission of aids, or any other sexually transmitted disease.